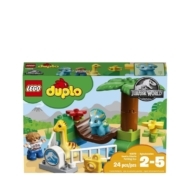 - Includes a Gray Mitchell LEGO® DUPLO® figure, plus 2 baby dinosaurs: a Triceratops and a Diplodocus. - Features Jurassic World fencing, a swinging bridge and a palm tree. - Accessory elements include a camera, flowers and a Jurassic World icon brick. - Look at the baby dinosaurs with Gray Mitchell and pretend to take pictures with his camera. - Build and rebuild the dinosaur enclosure in different ways. - Recreate exciting scenes from the Jurassic World movie with the baby dinosaur figures. 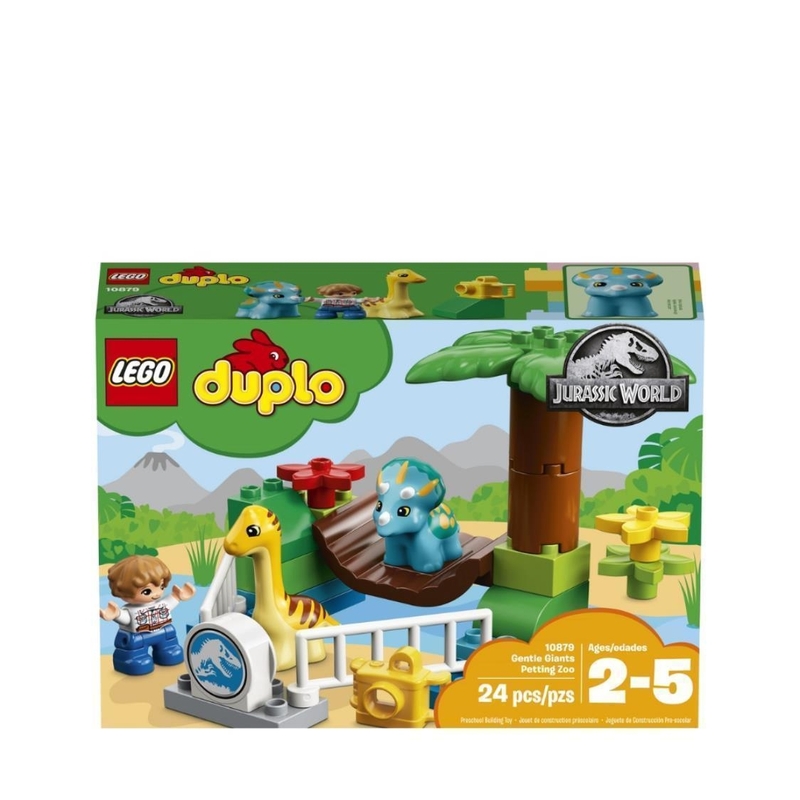 - Help your child master basic construction skills with this easy-to-build, Jurassic World toddler toy. 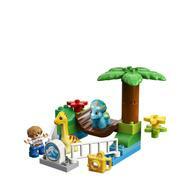 - LEGO® DUPLO® products are specially designed to be fun and easy for little hands. - Petting zoo measures over 5” (14cm) high, 6” (16cm) wide and 5” (14cm) deep.